Since 1983, Labe M. Richman has consistently provided effective representation for the accused in all matters of criminal law from complex white-collar crimes to narcotics charges. He is a highly respected criminal defense attorney with 30 years of experience and national recognition for his practice in state and federal courts. He upholds the highest standard of oral and written legal representation for each client from case inception to conclusion and through the appeals process, if necessary. He has built his exceptional reputation fighting to achieve positive results for those whose reputations and liberties have been threatened. He is nationally recognized by Thomson Reuters in Super Lawyers and in the Martindale-Hubbell Bar Register of Preeminent Lawyers as AV Preeminent Peer Review Rated by Martindale-Hubbell, He is a former adjunct professor of law and has lectured and published widely in his field. For immigrants, Labe Richman is particularly sensitive to immigration consequences of convictions and focuses his efforts on avoiding deportation or bars to immigration benefits, like green cards. He also has a substantial practice challenging old convictions that are causing immigration problems. If you have been charged with a crime, are under investigation, or have already been convicted and want to challenge the result, call Labe M. Richman today to schedule a consultation. Reputable attorney providing the highest quality legal services Labe M. Richman is esteemed in criminal defense practice as a skilled and competent attorney. -Communication Skills - Mr. Richman is capable of efficiently speaking on behalf of his clients both orally and in writing. He is one of those rare attorneys who is equally proficient at both trials and appeals. His effective communication skills ensure that you are presented in the best possible light. -Compassion - His professional and personal satisfaction comes from turning his clients' lives around. He is trusted by his clients because he listens to your individual legal and life situation and approaches your case with compassion, understanding, insight, and a studious inquiry into the facts and the law. -Experience - He brings to your case an extensive body of knowledge informed by 30 years of experience and study. He recognizes the importance of keeping current on litigation trends and ever-changing case law, and he stays current on cutting-edge issues to achieve the best possible outcomes. Indeed, he taught trial advocacy at New York Law School and was a faculty member of the Cardozo Appellate Clinic. Focused on criminal defense and criminal law Labe M. Richman offers effective representation in all areas of criminal defense and criminal law matters. -Criminal defense - He is thoroughly familiar with all facets of the state and federal criminal justice system and provides extraordinary criminal defense representation from white-collar offenses such as fraud and embezzlement to homicide and drug crimes. He has a strong focus on the defense of immigrants in the negotiation of criminal pleas of guilty and the appeals process and other post-litigation motions. -Criminal law - He provides strong advocacy and helps people avoid convictions through strong trial and appellate strategies in criminal law. He is skilled at humanizing his clients in the eyes of the judge and jury to forge the best possible outcome in each case. The United States incarcerates more people than any other country in the world. According to 2008 statistics, one out of every 31 adults was either on probation, on parole, or in prison or jail that year. If facing criminal prosecution, you need a NY criminal defense lawyer to protect your rights. Labe Richman has considerable experience and skill in negotiating plea bargains, trying cases, and winning appeals and post-conviction litigation. Criminal defense attorney in NY-case results Notable case victories include: Dismissal of a high-profile case involving an attorney from Kazakhstan charged with extorting Michael Bloomberg, the mayor of New York City. -A double-jeopardy case before the Second Circuit U.S. Court of Appeals on behalf of the New York Civil Liberties Union, the American Jewish Congress and the Lamda Legal Defense Fund United States v. Lynch, 162 F.3d 732 (2d Cir., 1998) -In People v. Calderone, 151 Misc.2d 530 (New York City, 1991), effective defense of harassed defendants attacked by private-citizen criminal complaints resulted in ruling that the whole process was unconstitutional. -See other specific cases on our Convictions Attacked page (http://www.laberichman.com/Convictions%20Attacked.aspx) Seasoned experience New York criminal defense attorneys cannot guarantee the outcome of a case. However, your chances of success are greater with those criminal defense attorneys in New York who have a track record of case wins. Labe M. Richman, criminal defense lawyer, has extensive experience with complex cases involving doctors; attorneys; securities, real estate and mortgage brokers; and a merchant baker. He has consulted about white-collar-criminal trial issues for TheStreet.com. Representing clients in street-crime and drug cases, he won acquittals or hung juries for burglary, robbery, assault, drugs, weapons and money-laundering cases. Also, he has experience representing a government employee from a civil rights case against the United States and other parties for 9-11 detainee detentions. Defense of immigrants in criminal appeals and post-litigation motions is a particular focus of Labe M. Richman, criminal defense lawyer. In fact, the firm incorporates an approach that considers deportation and other risks during criminal defense at trial or plea bargaining. The immigration consequences of sentencing should not be worse than the actual sentence, which unfortunately occurs with many immigrants. Labe M. Richman, criminal defense lawyer has a New York criminal law firm that represents clients in trials and appeals. For more than 25 years, the firm has focused on criminal law and has handled cases in the following practice areas: -Criminal appeals -Criminal defense -Drug crimes -Drug possession -Extradition -Federal crimes -Fraud -Immigration -Murder -Post-conviction remedies -Securities fraud -Weapons charges Special focus of our criminal law firm in New York One aspect of our firm that sets us apart from other New York criminal defense law firms is our special focus on attacking old convictions (http://www.laberichman.com/Convictions%20Attacked.aspx), which cause immigration problems. Another aspect of our firm that sets us apart from other NY criminal defense law firms is that we offer effective representation in appellate and post-conviction litigation in federal and NY State courts to reduce sentences and challenge convictions. Because criminal convictions can lead to deportation, we also carefully consider immigration consequences in any criminal case (http://www.LabeRichman.com/NYCriminalAndImmigrationLaw.aspx) when devising criminal defense legal strategies. Handling a broad scope of cases Our criminal defense law firm in New York has handled a wide variety of cases from murder to white-collar. Some of the specific types of cases we represent are: -Bank -Mail -Wire and securities fraud -RICO -Murder -Extortion -Assault -Theft -Weapons possession -Drug possession and trafficking -Money-laundering -Arson -Shoplifting -Grand larceny -Assault -Forgery -Burglary -Robbery -Prostitution -Illegal gambling -Environmental crimes -Immigration -Copyright and computer crimes An accomplished New York criminal defense law firm Our firm has established an excellent representation among lawyers and criminal law firms in New York. Labe Richman is AV Rated and has Preeminent status in a peer-review rating system by Martindale-Hubbell. AV is the highest ranking for experience, proficiency and ethics. 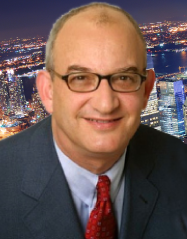 Aside from managing a New York criminal law firm, Labe Richman also lectures (http://www.laberichman.com/Prior%20Lectures.aspx) extensively and was an adjunct professor of law at New York Law School, where he taught trial advocacy. He was previously a faculty member in Cardozo Law School's Criminal Appeals Clinic for six years. For more-comprehensive details about his experience and credentials, see the Attorney Profile of Labe Richman. Biography: Member, Cardozo Law Review, 19801981. Adjunct Professor, New York Law School, 20042007. Recipient, Innovative CLE Program Award for research, development and presentation of "Effective Trial Communication Techniques: The Application of Advertising, Drama and Psychology to Trials," New York County Lawyers' Association, October 21, 2003. Author: "Deported Defendants: Challenging Convictions From Abroad," The New York Law Journal, June 14, 2006; "Opening Within the Rules," The New York Law Journal, July 17, 2002; "May Jurors Question Witnesses?" The New York Law Journal, September 25, 2003; "Interrogations and Confessions," Criminal Defense Techniques, Chapter 3 (Matthew Bender, 1988); see further articles and lectures on this site. Also, more accomplishments are listed below in greater detail. Labe Richman has been a criminal trial and appellate lawyer for more than 25 years. Martindale-Hubbell, the nation's premier lawyers' rating service, has given him the highest rating ("Preeminent") in the areas of both proficiency and ethics. He has also been labeled a "SuperLawyer" by Thompson West and will be listed in the "SuperLawyers" insert in the NY Times in October 2011. This NY criminal defense law firm has handled a wide variety of cases, from murder to white-collar. These cases include bank, mail, wire and securities fraud, RICO, murder, extortion, assault, theft, weapons possession, drug possession and trafficking, money laundering, arson, shoplifting, grand larceny, assault, forgery, burglary, robbery, prostitution, gambling, environmental crimes, immigration, copyright and computer crimes. He has represented doctors, lawyers, business owners, consultants, brokers and other professionals. Labe also specializes in reopening old convictions that cause immigration problems (See "Convictions Attacked," above) and is an expert on the new case of Padilla v. Kentucky. He makes a significant effort, when representing aliens in criminal cases, to consider the immigration consequences of the conviction in his legal strategy (That is why this website may be accessed using the address: NYCriminalandImmigrationLaw.com). He has a substantial practice in both federal and New York State courts. Mr. Richman was an adjunct professor of law at New York Law School, where he taught trial advocacy. He has lectured on trial-communication techniques and other subjects at the National Institute for Trial Advocacy, Rutgers Law School, Seton Hall Law School, Cardozo Law School, Columbia Law School, the Office of the Capital Defender, New York County Lawyers' Association, the New York State Bar Association, the American Immigration Lawyers Association, the New York State Defenders Association's Immigration Defense Project, the Association of the Bar of the City of New York, the Public Law Institute ("PLI") and the New York State Association of Criminal Defense Lawyers. His research, development and presentation of the comprehensive lecture Effective Trial Communications Techniques: The Application of Advertising, Drama & Psychology to Trials has won the Innovative Program Award from the New York County Lawyers' Association Continuing Legal Education Institute. He is also a lecturer and faculty member in Barry Scheck's Intensive Trial Advocacy Program at Cardozo Law School. To obtain more information about his award-winning presentation, click on "CLE Trial Communication," above. When possible, Mr. Richman attempts to employ these sophisticated techniques in his own trials, using powerful visuals and harnessing cutting-edge techniques, such as computer graphics, to communicate his client's defense in court. He combines his trial experience with a strong background in legal writing and appellate work. He makes every effort to represent clients in an aggressive, creative, but studious way. A list of his appellate victories is available on this web site by clicking on "Convictions Attacked," above. His appellate experience has been helpful to immigrants who need a creative legal attack on prior convictions that are causing deportation problems. [His success in this area is significant, but the client must understand that prior success does not mean that any particular client will succeed with their appeal or post-conviction motion. Past cases do not necessarily predict future success]. As noted above, in this regard, he has developed an expertise in the new case of Padilla v. Kentucky and has lectured nationally on this subject.